At Thursday’s education event, Apple put glee into the heart of every ebook publisher when it unveiled iBooks Author, the company’s new ebook authoring tool. At Thursday’s education event, Apple put glee into the heart of every ebook publisher when it unveiled iBooks Author, the company’s new ebook authoring tool. Between the WYSIWYG editing, Pages and Word import, and the free price tag, the app sounded too good to be true. 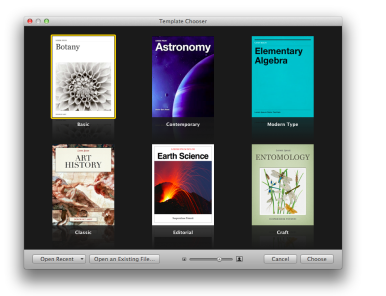 While Apple showcased iBooks Author as part of its push to get more iPad-friendly textbooks onto its iBookstore, this ebook creator can be used by any publisher—Apple’s Phil Schiller specifically mentioned cookbooks and travel books among other publications when touting the app. Naturally, after all my griping and wishes over such a tool, I had to take it for a spin: Here’s what I’ve discovered. From appearances alone, iBooks Author fits in right alongside the company’s iWork suite—no surprises there, since it was reportedly developed under the watchful eye of Roger Rosen, vice president of productivity software at Apple. Like most of Apple’s content apps, Author greets you with a template chooser; you can choose one of six styles (Basic, Contemporary, Modern Type, Classic, Editorial, or Craft). Importing files from Pages and Word seems to work as well as any import tool might: Your styling isn’t always retained, and images may shift, but the text ends up more or less laid out as it should be. 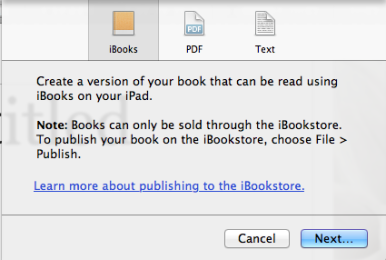 A good thing, too, since iBooks Author has no versioning or change-tracking to speak of. I imported a Pages document containing one of our iPhone 4S Superguide chapters; while iBooks Author didn't keep every bold and italic reference, it included links, page breaks, and images, all where they should have been. Unfortunately, like most other ePub solutions out there, iBooks Author continues the export game—you can’t edit an ePub you’ve already created. You can only design new ones using the app’s proprietary .iba format. Outside of basic images and text, you can also add interactivity and media to your book using the Widget tool. You can pick one of seven Widgets: Gallery, Media, Review, Keynote, Interactive Image, 3D, or HTML. For fun, I dropped in a gallery, which allowed me to pick several images and add a title and caption. Styling the look of the gallery was also easy enough for anyone familiar with the iWork Inspector: I just had to tab over to the Graphic section and play around with colors and frames until I got it to my liking. Of course, this brings up a question: If you have to design these layouts so heavily, how do they work on other devices, like the iPhone? Serenity Caldwell is a staff editor for Macworld, and one of the Macworld Superguide ebook editors.